In the United States the areas dedicated to asparagus have clearly decreased. This decline reached 61% over a period of 10 years also causing a drop in production. 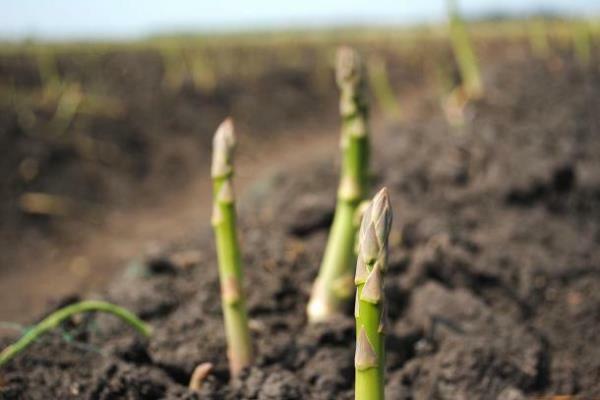 According to USDA figures for 2004 and 2014, the area planted with asparagus in the country has dropped by 61%, from 66,000 acres (26,709 hectares) to 25,800 acres (10,117 hectares). Asparagus production declined by 64%, from 103,100 tonnes in 2004 to 37,150 tonnes in 2014. In California, the decrease on average is even sharper, having decreased from 40,900 acres (16,551 hectares) in 2000 to 11,500 acres (4,653 hectares) in 2014. For professionals this fall in area is explained by rising production costs. Asparagus is a very labor intensive crop; these production costs drive up retail prices; in most cases, consumers prefer imported asparagus, the price of which is almost 2 times lower. US producers are shifting away from asparagus crops to less labor-intensive crops.